Salt made by reducing sea water until the natural salts are left. This can either be done by boiling the water or allowing it evaporate naturally in the sun. 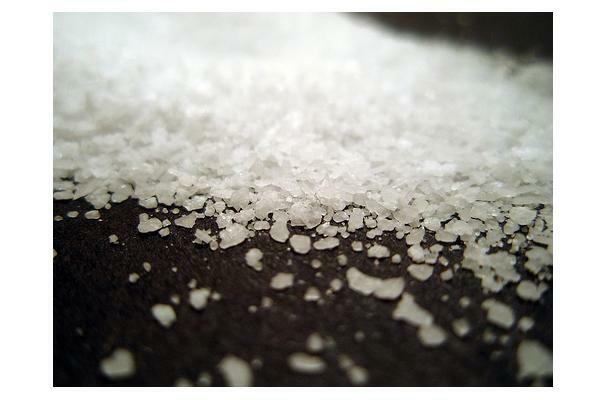 Sea salt typically has a large crystal and is often left a bit moist making it slightly sticky. Real Salt is an all-natural, kosher-certified sea salt extracted from deep within the earth, crushed, screened, and packaged. Real Salt's unique flecks of color are the result of more than 50 natural trace minerals essential to human health. Procuring: Sea salt is produced through evaporation of seawater, usually with little processing, which leaves behind some trace minerals and elements depending on its water source. These insignificant amounts of minerals add flavor and color to sea salt, which also comes in a variety of coarseness levels. Historically called bay salt or solar salt, its mineral content gives it a different taste from table salt, which is pure sodium chloride, usually refined from mined rock salt (halite) or from sea salt. Generally more expensive than table salt, it is commonly used in gourmet cooking and specialty potato chips, particularly the kettle cooked variety. Store in Sea Salt Shakers, Mason Jar, or Tupperware.